Do you want to have more fans than Sheeran? Do you carry the next Grey Album in your mind? Do you spend your evenings with your guitar and notebook, perfecting your texts? Do you need to get all these ideas, beats and songs out of your head and tune them into perfection? Two simple sound interfaces with software that you need for the development of your musical ideas, from the first spark of inspiration until the finished song. 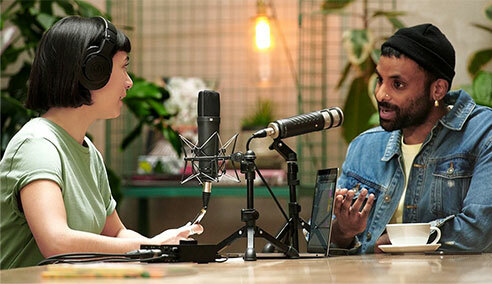 Vocals, guitar and other instruments in high quality can be recorded straight into PC (DAW), where you can process them with Ableton Live 10 Lite software. 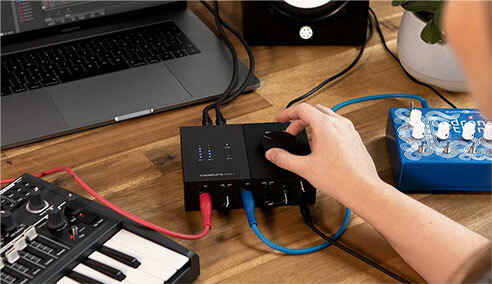 Take your Komplete Audio 1 or 2 to the bar, club or to the street corner to incorporate drums, synthesizer or different effects to your performance from your PC. If you shoot Youtube videos, Komplete Audio is going to provide you with everything you may need for your video's perfect sound. You can record the speech in high quality and use added plugins for mastering. Komplete Audio 1 is ideal for recording mono sounds, for example, vocals and guitar at the same time. 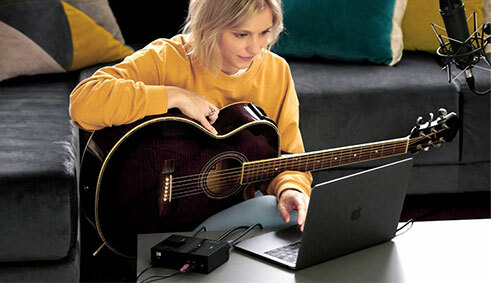 It has two different inputs: XLR microphone for vocals and jack connector for guitars or other instruments. It has RCA stereo outputs that allow the connection straight to the speakers. Get the convenient Komplete Audio 1 set that includes dynamic headphones Superlux HD681 EVO WH for half the price. Komplete Audio 2 is suitable for stereophonic sounds. It offers the same quality of sounds as Komplete Audio 1 and what's more, bigger flexibility. 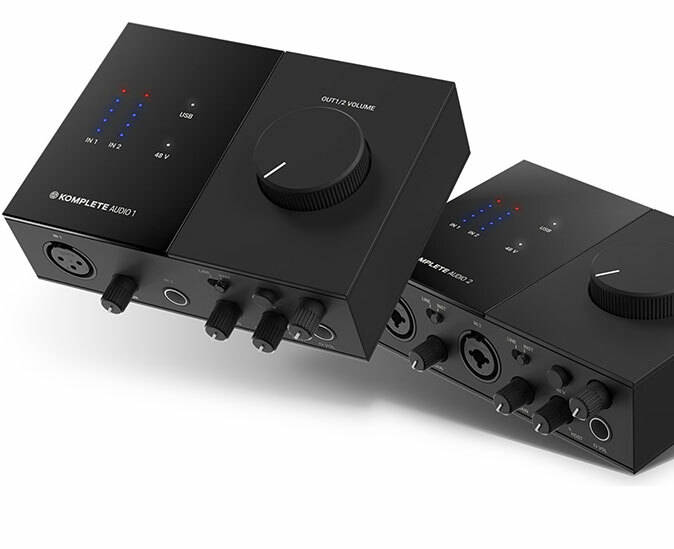 It allows connecting two microphones thanks to two combined XLR/jack inputs. The two jack connectors on output allow you to connect to the studio monitors or speakers on the podium. 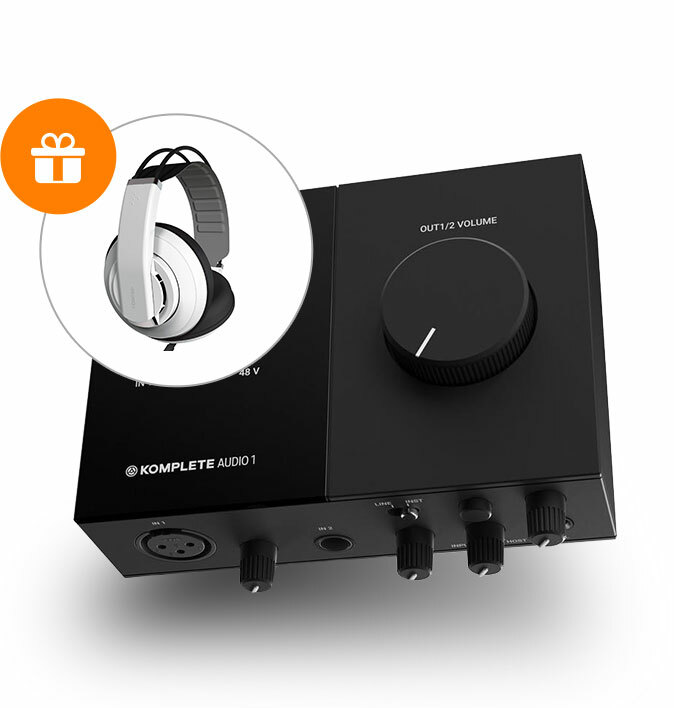 Get the convenient Komplete Audio 2 set that includes dynamic headphones Superlux HD681 EVO WH for half the price. Komplete Kontrol M32 has everything you may need while producing music. With just 32 keys it doesn't take too much place but will offer you a mean to fully express your creativity. In combination with innovative software, Smart Play functions and unproblematic integration you will gain intuitive control of all the instruments, samples, effects and loops straight from the keyboard. Get the convenient Komplete Kontrol M32 set with the sustain pedal Cherub WTB-005 for 5 €.